Ananya and Yan Narayan’s paths crossed in Hong Kong, when they were working together in the hotel industry. 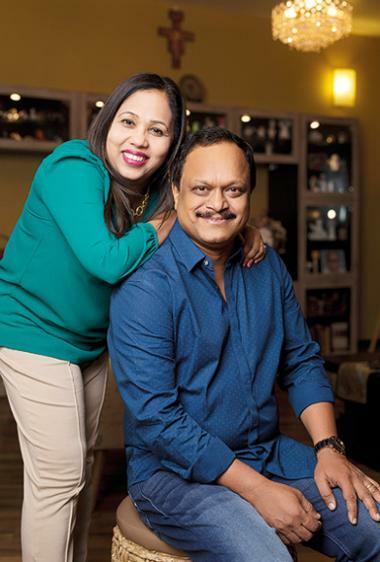 This from a couple who have worked together for decades, and still do – Ananya is managing director and Yan is marketing director at Ananya’s company Hunter Foods in Jebel Ali. Some may argue that working together is not ideal for a marital relationship to thrive, what with all the professional disagreements that inevitably crop up. Has it changed their equation in any way? While Ananya is from India, Yan is from China. And every intercultural marriage is so often put through the wringer, coming with its set of assumptions – of anticipated culture clashes, of challenges galore, of the difficulty in bridging the gap... Ananya and Yan both shake their heads immediately. ‘The base of your relationship is carried by your culture but it’s not the definition,’ Ananya says. Finding joy in the same things makes everything transcend culture, Ananya says. Like their friendships. Their love for trying new restaurants, watching new movies, getting spa treatments. On holiday, their desire to explore historic hotels, trying new foods and meeting new people. 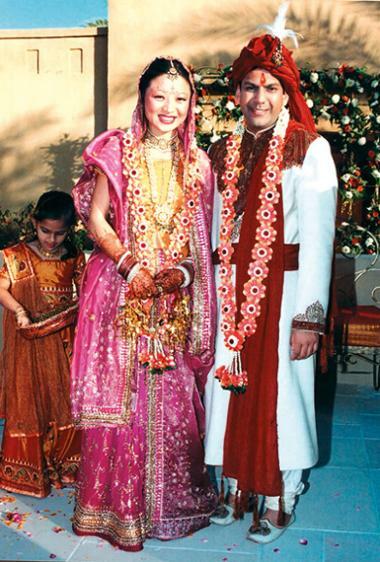 Ananya proposed to Yan with 9 gifts in 9 steps – 9 is considered an auspicious Chinese number. It was a proposal that included a scavenger hunt, puzzles, a ferry ride, gold and diamonds. It certainly wasn’t your run-of-the-mill proposal, and that penchant for deviating from the status quo carried through to their wedding, when they decided they didn’t want to merely repeat the words chanted by the priest at their Indian ceremony, but wanted to actually understand the meaning behind them. So they went to the historic holy village of Vrindavan in India and spent three days to understand rituals before they came back to Dubai for their wedding. They have a 10-year-old son Gyan now, and daughter Tara, who’s seven. Yan says having a loving and warm relationship with her in-laws helped her immensely when she moved to Dubai all those years ago – they live eight minutes away, and are actively involved in their grandkids’ lives. ‘When families come together to support the couple, that strengthens the foundation. ‘Next time we should do a Chinese one!’ Yan exclaims. ‘Yeah why not,’ he replies. Ananya says the time to talk about their cultural differences comes up prominently at one point in life – when the kids are born. ‘And the key word there is respect – respect for each other’s culture. So we have them learn both sets of traditions. We know it’ll only make our kids stronger to be able to identify with 40 per cent of the world’s population. 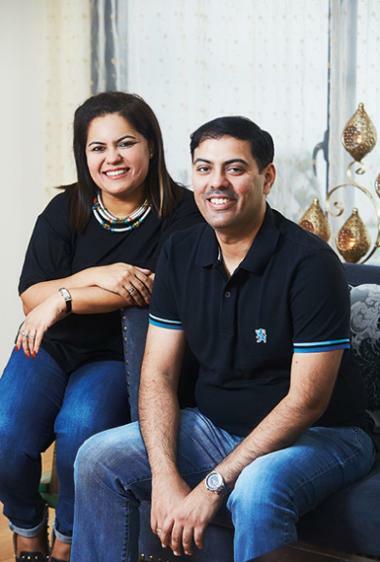 Payal and Kishore Bhatia first met after exchanging emails via a matchmaker. 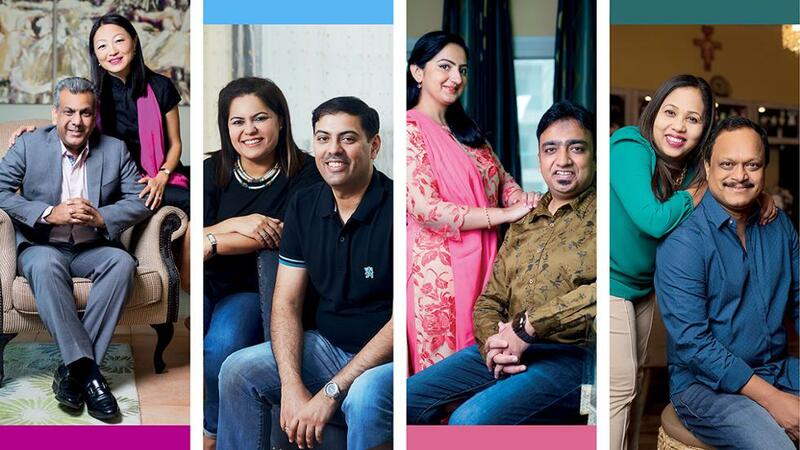 ‘I think the matchmaker had zero confidence in us as a match,’ Kishore says, as we sit in their JLT apartment. Today she says she takes pride in his achievements. But at that time all she thought was that he was boring. This story sounds all too familiar, a classic case of opposites – until you get to the part that 14 days after that first conversation, they were married. But what struck them both after a while of that first meeting was how comfortable they were with each other. ‘Yes, I’m a gentleman, it’s easy to fall for me,’ Kishore says with a laugh. This easy camaraderie the couple share is evident throughout our chat. In July 2005, during heavy floods in Mumbai, they got married. ‘I liked that she was honest, didn’t try to project anything different. I knew what I was getting into,’ Kishore says. ‘And later you knew much more than you bargained for,’ Payal chirps in. Speaking of which, how did they pull off a big fat Indian wedding in a week? ‘I have designers in my family, my cousin worked with Neeta Lulla, one of India’s well-known fashion designer; so I got 10 people to work on my dress,’ Payal says. 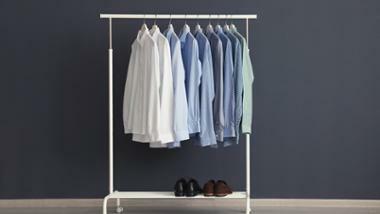 ‘And I went to a shop, and bought three outfits for the three functions in three hours,’ Kishore says. They admit they couldn’t have said they were in love then – they were more comfortable with each other. 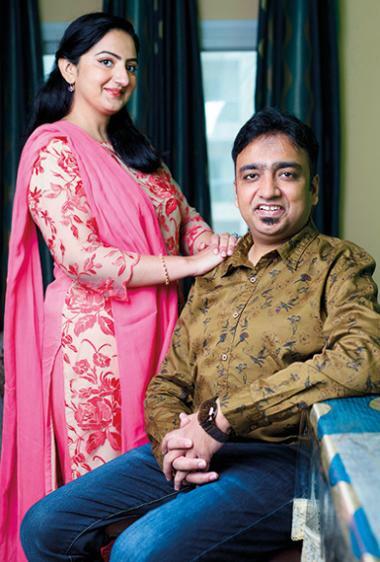 ‘That’s probably the secret – if you know the ins and outs of each other and spend years together, there’s nothing left to discover after your marriage,’ Kishore says. Of course, it wasn’t all roses. 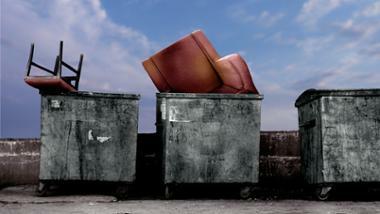 The first few months they admit they found it quite difficult to merge their two lifestyles. ‘He and his family had such a structured way of eating – they ate three full meals, like regular people. I’d never had even two full meals in my life. I had snacks,’ Payal says. But they slowly learnt to combine elements of both their likes. ‘And the result of that is I’ve gained 10kg,’ Kishore says with a straight face. Reaching a middle ground without imposing their preferences on each other helped them work it out. Also never taking each other for granted. They say it’s surprising but in so many years they’ve never had a major fight. ‘I used to say there’s something wrong with us,’ he says. But having the same values helped them overcome their different outlooks on life – ‘living with honesty, living in the means you have, no loans or excess spends on credit cards’. In short, not clashing on the important things helped them build a marriage. And taking life as it is. Their son Ssoumya, who is 11, helps with solving fights too – ‘very wisely, he tells us it can’t be her way or my way,’ Kishore says. Today, it seems almost incredible to say that Leena and her husband met a week before their wedding. This arranged marriage was set into motion without the bride and groom seeing each other, with just a photo to go by, with all the arrangements set in place by their families – and with one half of the couple not making it to the engagement. 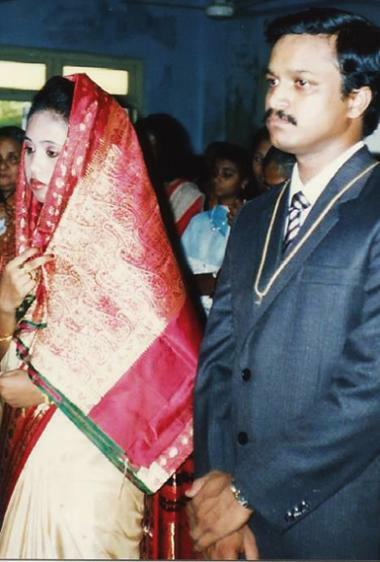 In 1989, her husband Saji had just returned to Oman from his annual holiday to India. ‘An acquaintance ferried me to Leena’s granduncle’s place where he point-blank asked me if I was interested in marrying Leena. That was when I saw her photo.’ Saji was fine with the alliance and the marriage was fixed by their families. But unfortunately for him, he couldn’t get days off work to attend his own engagement ceremony. ‘I had to save my annual leave for my wedding, but my parents said they would go ahead with the engagement without me,’ says Saji, who works with Jotun Paints. Did they speak over the phone? No, says Leena. Very few people had mobile phones at the time. They exchanged a few letters. Leena and Saji don’t remember anything particular about that first meeting. ‘We had a nice chat, some street food, and left,’ Leena says. Her sisters were apprehensive through it – ‘he’s really quiet, isn’t he?’ they said, wondering how that would work with Leena’s extroverted nature. ‘All you can do is meet the other person halfway,’ says Leena. ‘Today, in hindsight, would we have done it? I don’t know. It takes a lot of patience and baby steps, a lot of right and wrong turns. It’s key couples are on the same level, education and economic wise, they believe. ‘That makes it easy to communicate. Because initially things might seem great, but then the real challenges start cropping up,’ Saji says. Anam and her husband Syed Mohammad Zaid say their meeting in 2014 was a mix of chance and destiny. He was in an office in Dubai for a meeting, Anam in the same office for an interview. Post meetings, with no taxis available, he being the perfect gentleman offered her a lift to the nearest metro station. That short ride never really came to a halt for the couple. As they got to know each other, their mutual confidence grew. This despite the fact that they didn’t share a lot of commonalities be it background, language, ideas, lifestyle, temperament, and even nationality. Zaid is from Delhi in India with roots in Uttar Pradesh, while Anam is of Punjabi descent, who grew up in Lahore, Pakistan. But while the odds were stacked against them, from the very start, they saw a life partner in each other. His honesty and commitment to responsibility and to start a family attracted her towards him. ‘Plus his killer smile,’ Anam says. For Zaid, it was Anam’s intelligence and ability to shape up an interesting conversation that he found remarkable. 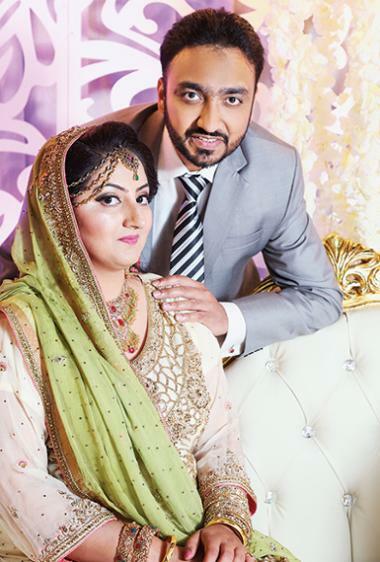 ‘She always came across as a confident person, well aware of her surroundings and with the grace to tackle the initial awkwardness of a relationship.’ So he proposed to Anam just two months after they first met. Once they’d decided on being together forever, their first priority was to get their families on board. ‘To marry a girl from Pakistan was certainly an alien thought for my family... my parents had their doubts and insecurities.’ But Zaid spoke to his family. Six months later they were convinced. ‘Consistent persuasion helped,’ he says. In neighbouring Pakistan, Anam was trying her best too. 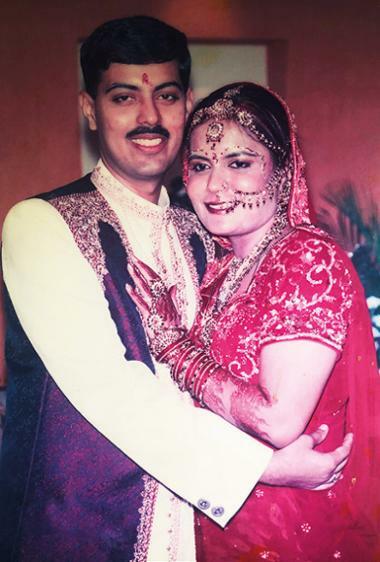 A life partner from across the border was a tough deal for her family to accept. Approaching her father directly was out of the question, so she reached out to him through various confidants. Finally he agreed to meet Zaid’s father... and in December 2015, the couple tied the knot in Dubai. Both families came to the UAE for the wedding. ‘It was a memorable day as our love for each other had finally triumphed over all the differences,’ says Zaid. But while both of them felt they knew each other well, they are quick to admit that the real journey only started after the wedding. ‘The fundamental differences that can arise from a varied background was a realisation for us; we learnt a lot about each other with each passing day. But rather than give up, they strived to make it a success. 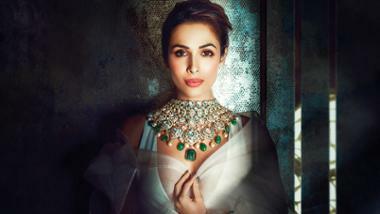 ‘With time, I learnt to find common ground with Anam, and she with me. A lot of times the minor squabbles were hard to get over, but the happiness we feel on seeing each other eases all the difficulties. Keen to make their relationship work, Anam, wanting to have a strong bond with his parents and siblings, decided to live in India for six months at Zaid’s home. ‘Being a Pakistani national it was difficult for her to stay there for such a long time, but she managed it all so well,’ says Zaid. Their son Zahroon was born in 2016. Says Zaid: ‘If you love your spouse and there is a mutual understanding and admiration, then all difficulties and differences can be overcome with ease. ‘I now understand many words in Punjabi and Anam has a significant place in my family and friend circle.